Lebanon-based Unipak awarded by Lebanese Cleaner Production Center (LCPC) for efforts to implement eco-friendly manufacturing processes that reduce production waste, conserve energy, water and materials, and maintain production capacity. 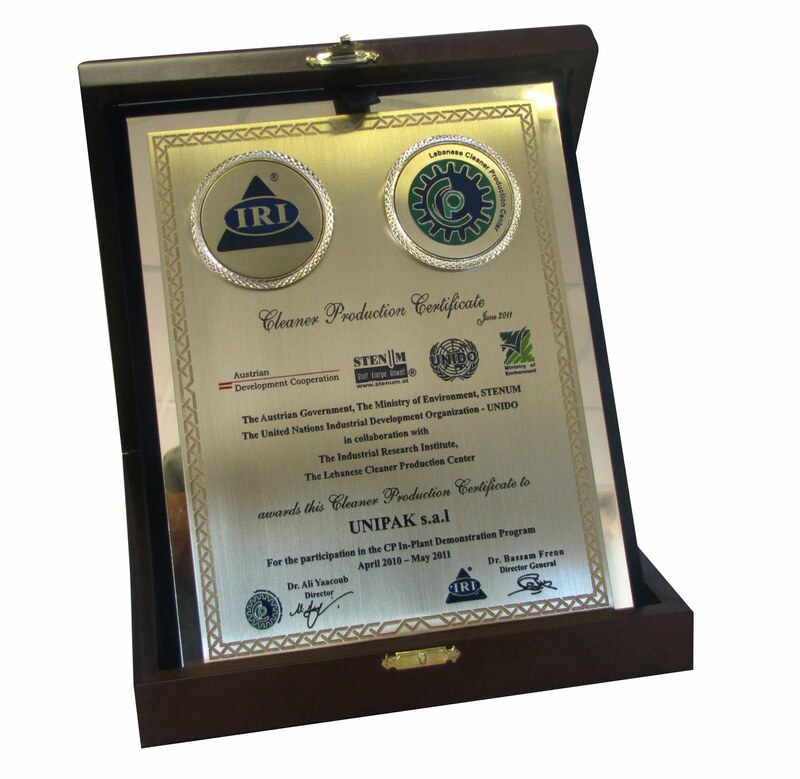 The Lebanese Cleaner Production Center (LCPC) and the Industrial Research Institute (IRI), in collaboration with the Austrian Government, STENUM, Lebanese Ministry of Environment, and UNIDO recognized Unipak’s Cleaner Production efforts on 28 June 2011. The Halat-based corrugated packaging manufacturer demonstrates commitment to the environment and employee safety. Present at the certification ceremony were Neemat Frem, President of the Association of Lebanese Industrialists (ALI); Dr. Ali Yaacoub, LCPC Director; Bassam Frenn, General Manager of Industrial Research Institute; and Dr. Eva Maria Ziegler, Austrian Ambassador in Lebanon. Back in November 2010, LCPC team visited Unipak plant and specified Cleaner Production options, many of which were already implemented in the plant. Options already implemented by Unipak included reducing energy consumption by decreasing plant lighting during daylight hours, recycling plant and plant cafeteria solid wastes, decreasing boiler fuel consumption by substituting the used fuel type, recycling paperboard and corrugated board waste, and raising awareness among employees for safety against noise pollution inside the plant. Other Cleaner Production options specified by LCPC, include managing energy received from different sources (Electricité du Liban (EDL), Halat complex power plant, generator and UPS) in order to optimize its consumption, switching direct current (DC) electrical motors in the plant to alternating current (AC) motors, and boiler insulation for energy loss prevention. Additionally, LCPC advised replacing existing wastewater treatment systems with state-of-the-art effluent treatment systems. During the project implementation period, Unipak attended a workshop about industrial water management, organized at LCPC premises. 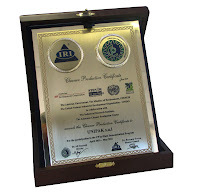 Unipak manufactures retail ready packaging, shelf ready packaging, point-of-purchase (POP) displays, promotional cartons, and corrugated boxes for the agricultural, beverage, catering, dairy, hygiene disposables, industrial, petro/chemical, food, paramedical, pharmaceutical, and soap and detergent industries.